There are a lot of people, some of them are stretching, some of them are bouncing. But everybody is preparing for their race at Masaryk run 2017. I can feel the growing adrenalin all around me and definitely the determination to give the best result. I want it too, but my goal is not be the first in finish or run the best time. My goal is to finish the race and intersect the target tape. This is my first time and the only thing I want is to handle the race. This will be the best result for me. 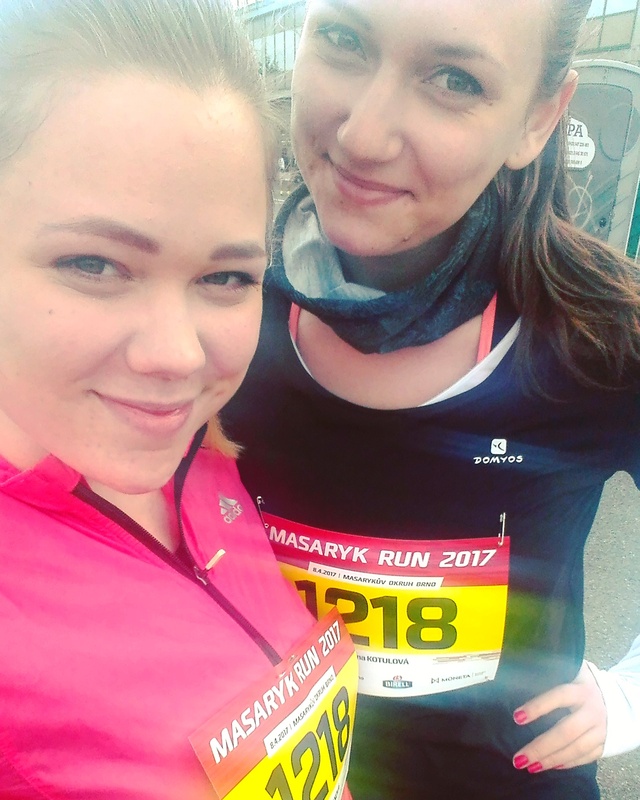 It was last November when my friend called me and told me: “Hey, we are going for Masaryk run!“. “Ok,“ I answered and after then I realized what I had done. I have always been a casual runner and since the telephone call I had to train harder. I calmed down myself that I still have a months to train. I had to persuade myself to go running regularly. The distance I should run was five kilometres and I have to say, that I have never succeeded before the race. My biggest problem is that I do not enjoy running one round repeatedly and I do not have any creativity to planned some interesting longer routes. So my basic distance was allways about three or four kilometres. And there is the evening before the big day, before my first race, before Day D. I am sitting at my desk and I start panicking. I am opening my browser and google how to handle race for five kilometres without training it. I know it is so desperate. What a suprise that there really are some advice and tips for first race but everything is failing about one simple thing. All of this articles counts on experience that I have already managed the racing distances and what is more, that I know my racing pace. “Sure I know all of this,“ I keep telling myself ironically. So now I really need to calm down and believe that I will survive tomorrow race with some miracle. Everything that I can do is to go to sleep and be rested for the race. I nervously tread, It is almost 3 o’clock, we are starting in five minutes. I am standing in the back as I do not want to hold anybody back. And there it is, start signal. I am starting to move and suddenly I am running. Oh really I run and it is great. I chose the rigt place for me. I do not hold anybody back and what is more they are holding me back. But I am telling myself: “You can not overestimate the beginning.“ But I felt really good and there is first sign of the distance one kilometr and there is another and I still feel great. Now I have four kilometres behind and I know that the last one will the worst. Because we were dropping slightly and I can expect the big final hill. I know that I can not stop here I still have to run. Everybody slows down and so do I. But they are walking now and I do not want that. So I keep my pace and it really hurts, my legs are burning but I know that I have to endure the last 500 metres. And I am already in the finish line and I am smiling, I feel exhausted a lot, but I can not stop smiling. And you know what, it is victory for me. I survived and I really got my own record. 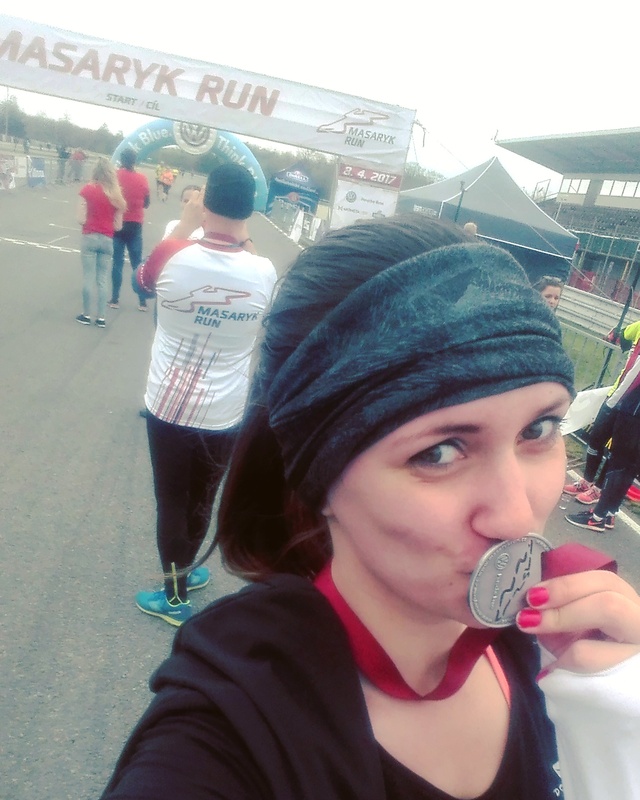 I have run the longest distance ever and I have run it in great time for me, it was 33 minutes and I have to say that it was the best 33 minutes in the long time because I achieved something. Of course that is the crazy idea, but I thought that if somebody want something really hard, they can achieve that with a strong will, determination and a little discipline.